Friends! Great news! Michelle Ule’s newest book releases November 1st. You won’t want to miss the chance to pour over the delightful pages of A Poppy in Remembrance. 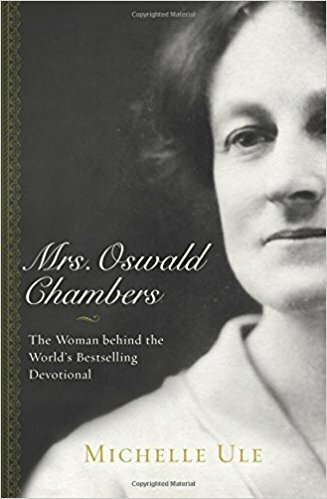 You may recall her previous book, which is non-fiction, Mrs. Oswald Chambers: The Woman behind the World’s Bestselling Devotional. It was a wonderful discovery, learning more about Oswald Chambers, his ministry, his writings, and his family and especially his wife, Biddy who was the one that compiled My Utmost for His Highest from his sermons. 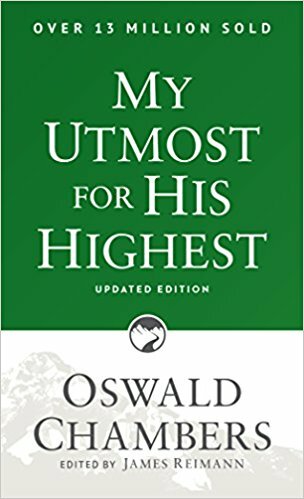 I was able to find my Mother’s copy of Oswald’s best-selling devotional, My Utmost for His Highest. To this day, it is still the single best-selling devotional of all times. It was first published in 1935! You won’t read it the same after getting to know Oswald, thanks to Michelle. All this to say I was beyond elated to learn A Poppy in Remembrance presents Biddy and Oswald Chambers, who blissfully cross paths with the novel’s main character, Claire Meacham. I felt as if celebrities appeared right in front of me when Claire got to meet Oswald and Biddy. Set during World War I, Claire’s father, Jock, is a journalist and editor from a Boston newspaper with its syndicate in London. He totes his wife, Anne, and daughter, Claire, with him where they stay in Anne’s sister’s house. Engaging scenarios, filled with entertaining conversation, ensue building the plot as we turn each page. Claire’s dream of being a reporter in a mostly all-male world comes to fruition a wee bit while they’re in London. Her father allows her to use her stenographer skills to help him with numerous war-related stories. Her two male co-workers each fall for her in their own way. You’ll enjoy watching Claire juggle Jim and Nigel, as she becomes secretly engaged to one of them (not telling!). Claire struggles, wondering whether she’s doing the right thing or not. Her newfound faith makes these decisions that much tougher. Her parents attend church, but believe faith is a personal matter, not to be discussed. Claire secretly attends Oswald and Biddy’s prayer meetings every Monday morning with Jim while in London. She’s drawn to both of the Chambers, even receiving one on one counsel from each of them. Many lessons are evident in A Poppy of Remembrance thanks to Michelle’s strong faith and love for Bible study. Watching Biddy and Oswald’s interaction with Claire and others demonstrates how we as believers can learn how to handle seekers. Convicted to be truthful with her parents, Claire tells them about going to the prayer meetings. Chalking it up to being quacks, Claire’s father dismisses Oswald. These are some of many tidbits which will delight us readers. Michelle’s creative writing transports us right along with Claire, her family, OC, Biddy, and their little daughter, Kathleen. Huge thanks go to Michelle who delivered this engaging novel. If you’ve not read Mrs. Oswald Chambers yet, grab it too. It’s filled with more details to encourage and bless us all and don’t miss Michelle’s website where she offers numerous resources and fascinating articles you don’t want to miss. Friends! I’m sad to report I’ve just finished a total page-turner, Mrs. Oswald Chambers, however I’m GLAD to report it’s a must-read for you and the history buffs in your life! Hurry and grab some copies for Christmas gifts! You’ll be a hero to whomever you give it to. Author Michelle Ule has gone to amazing lengths (I cannot even fathom the amount of research she’s done to write this book.) to give us glimpses of life with Mr. and Mrs. Oswald Chambers. 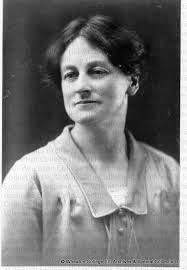 Reading Mrs. Oswald Chambers is akin to opening a treasure chest, each chapter more mind blowing than the previous one. You’ll fall in love with each person you meet, some friends and some family of the Chambers’, plus you’ll feel as if you’re traveling with them, about to have tea at their table, or sitting in one of Oswald’s classrooms. I confess I’d never considered learning more of Oswald or his family until I caught Michelle being interviewed by Eric Metaxas recently. (www.metaxastalk.com Interview aired October 19th, 2017) After hearing Michelle’s discoveries, I promptly ordered her book. I have the well-known devotional My Utmost for His Highest thanks to a copy my Mother gave to my Father. Michelle’s book reads like a novel. Her skillful writing introduces you to Oswald and “Biddy” as she was called, allowing you to see how they met and watching how they lived their daily lives. Everyone loves a good love story, especially a true one! 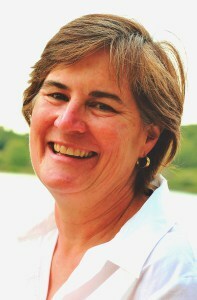 Biddy’s name evolved from the nickname Oswald gave her, “Beloved Disciple” which she said was a mouthful. A sweet one at that! Biddy was a good student growing up, however repeated cases of bronchitis caused her to miss so much school she had to drop out. She ultimately landed in secretarial school and became highly proficient as a stenographer, able to take down 250 words/minute vs. an average 150 words/minute. Don’t you know upon meeting Oswald, clearly orchestrated by our gracious God, Biddy was the one who took down all of his speeches, talks, sermons, word for word, accumulating trunks full of his wisdom. 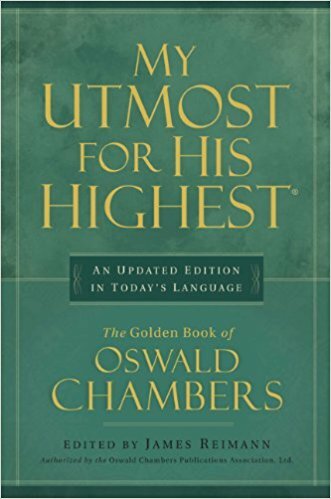 It was Biddy who compiled My Utmost for His Highest, which wasn’t published until ten years after Oswald’s death. He died seven years after they married. 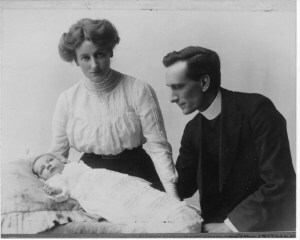 After Biddy and Oswald married, they were blessed with a one and only daughter they named Kathleen. Sadly, Kathleen never married. She was only four years old when her Daddy died, thus her memories of him largely came from her Mother’s stories. Biddy and Oswald’s love for the Lord and His Word is hugely inspirational to us readers. We see them plan their days, bookending them with prayer and reading of Scripture. Their prayer times and study of God’s Word were non-negotiable. 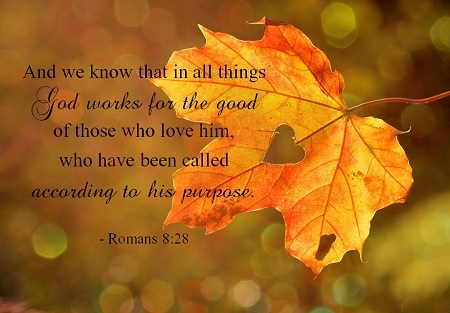 Their utter trust in God and His sovereignty is equally inspirational. They never worried about money from the very start of their marriage and Biddy didn’t change that tune once she was widowed. Biddy prayed this prayer every morning, “I give the day over into God’s hands, completely so that He will look after who comes.” Biddy’s friends said she was known to drop whatever she was doing when someone stopped in, brewing countless cups of tea. It was fascinating to me to learn Biddy and Oswald faithfully read The Daily Light. 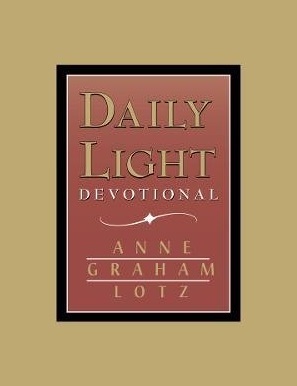 I first learned of this book from Anne Graham Lotz. She’s republished it thanks to her learning of it from her Mother and Grandmother. Anne’s Grandmother gave a copy to her Mother, Ruth, who in turn gave a copy to each of her children when they were ten years old. Anne has now given copies of The Daily Light to her children and grandchildren. This way, they’re all reading the same Scripture every day. It was the Bagster family who originally published the book in the late 1800’s. How they later wound up in Egypt during World War I is a grand story you won’t want to miss. Their ministry’s impact was far reaching, one soldier claiming he realized the reason he was enlisted must’ve been for the Lord to reach him thru’ Oswald’s preaching. That’s one of many, many heartwarming stories. Oswald’s determination to reach as many people for the Lord as possible caused him to burn the midnight oil. I worried about his health wondering how he could possibly keep up such a rigorous schedule. You’ll not want to learn about his untimely death, however Biddy’s reaction and dedication to the Lord following Oswald’s death are what kept her going. What she accomplishes afterwards is simply miraculous. Run, don’t walk to your nearest bookstore and grab Mrs. Oswald Chambers—the Woman Behind the World’s Bestselling Devotional for yourself and for your friends this Christmas. I promise you all will be beyond blessed.